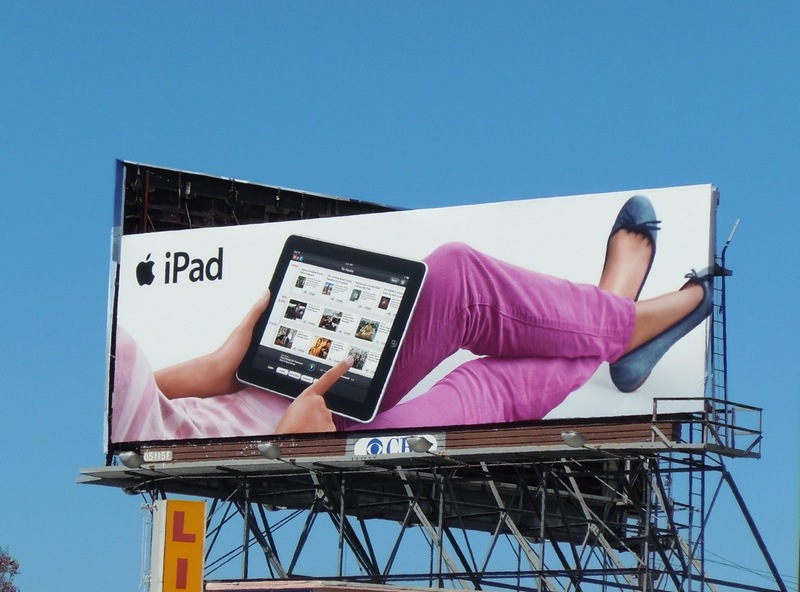 These bright and colourful billboards for Apple's new iPad seem to be everywhere at the moment. 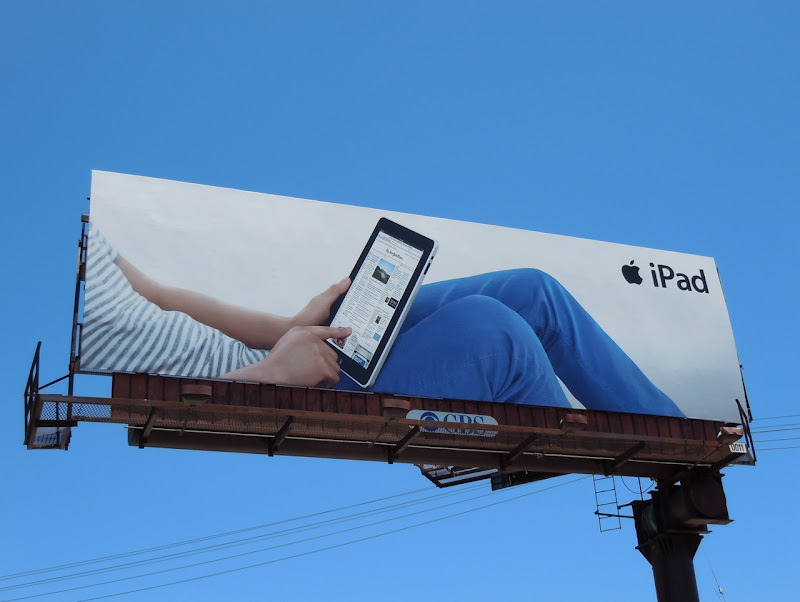 The first wave of iPad billboards for the new 'toy for grown ups' were more conservative and neutral lifestyle creatives, whilst these new versions seem more striking and youthful, with candy colours that really pop from afar. They also seem much more in line with Apple's cool and funky image. 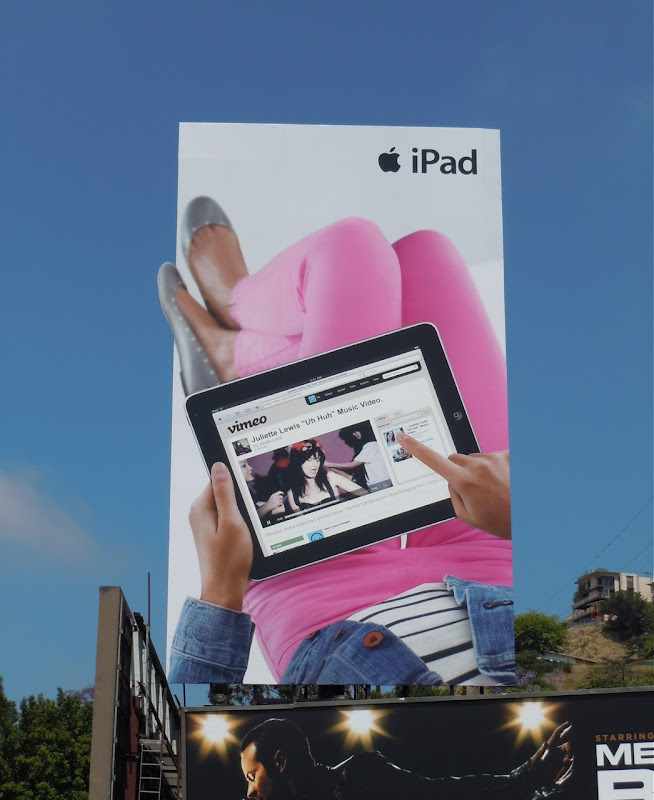 These billboards were photographed on Sunset Boulevard on June 9, Santa Monica Boulevard on May 30 and along Beverly Boulevard on May 26, 2010, respectively.